The Love of the Author for the Writer – Love. Life. Practice. It’s really an imbalanced thing, the love the author has for the writer. “Author” is one of those identity words that falls in the realm of things you can deserve after you’ve done a particular set of things. If you’ve given birth, you deserve the title “mother,” assuming what you’ve given birth to is a human being. If, on the other hand, you’ve giving birth to a book, then the title you get is “author”, and it’s a select few. It’s not a halfway thing, either; you either have written a book or you haven’t, and you are either an author or you aren’t. Those who choose to take part in National Novel Writing Month (NaNoWriMo) are trying to earn that title. There is one way – and one way only – that you can earn it, and that is by assuming another title: writer. Look, Ma, I’m an AUTHOR! In many ways, being a writer is easier than being an author, because you don’t have to have completed anything. You simply have to establish the habit of writing, and as I’ve amply demonstrated with years of writing this blog, that’s not that difficult. 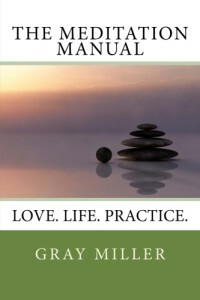 But there’s a reason that I’m not an author because of LoveLifePractice.com. Sure, I’ve written well over 100,000 words, but it’s not cohesive. I’m a blogger because of that. I’m an author because I whipped about 12,000 of those words into a beginning-middle-end and published it. 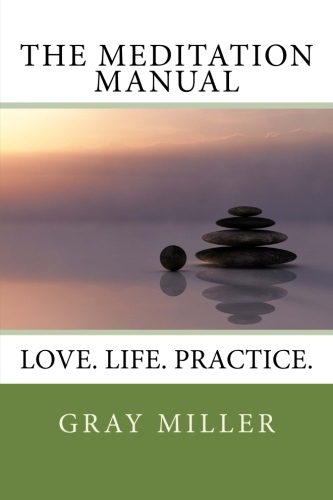 Check it out: The Meditation Manual. I’m pretty fond of it. As many NaNoWriMo veterans will attest, it can be a difficult road. Trying to make your word count every day; resisting the urge to go back and edit; trying to explain to family, friends, total strangers in the coffee shop that you are writing. They do this, though, because of a love they have for the future version of themselves that they see, the one who may or may not be a writer but who is definitely an author. The thing is, if you’re doing NaNoWriMo for the first time you have no idea of what it is like to be an author. You don’t actually know how it will change you (if at all). You aren’t in love with that author you hope to be; you are in love with the idea of the author you hope to become. There’s nothing wrong with that; like any hoped-for love, the reality is likely to be both more and less wonderful than one could imagine. But picture with me the version of you that is the NaNoWriMo veteran – the person who, on November 31, triumphantly uploads the 50,000 words to the word count and earns their badge. That person exists; the fact that we can’t see them right now is simply because we’re stuck in this silly one-way time stream. That person not only exists but they also have a very real love for you, the NaNoWriMo writer. And it’s not based on unrealistic hopes – it’s based on hard memories. They remember every time you said “no” to something that would take your fingers away from the keyboard; they smile when they remember how you struggled with that particular plot point, and grin when they remember the ingenious way you finally worked through it. They are grateful to you for the things you gave up, the work you put in, because quite literally they would not exist if it weren’t for you, Writer. There is no November 31st, but maybe in this scenario there is.